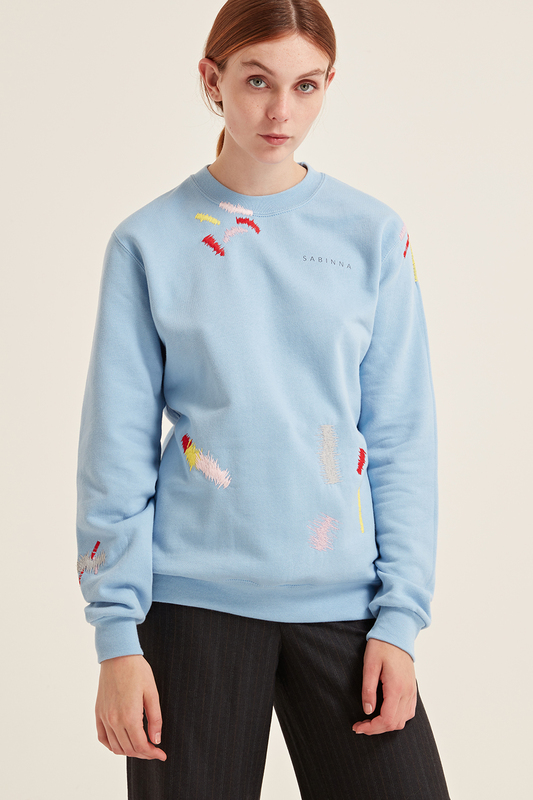 This jumper is part of the ‘City Collection’ and is a limited edition. 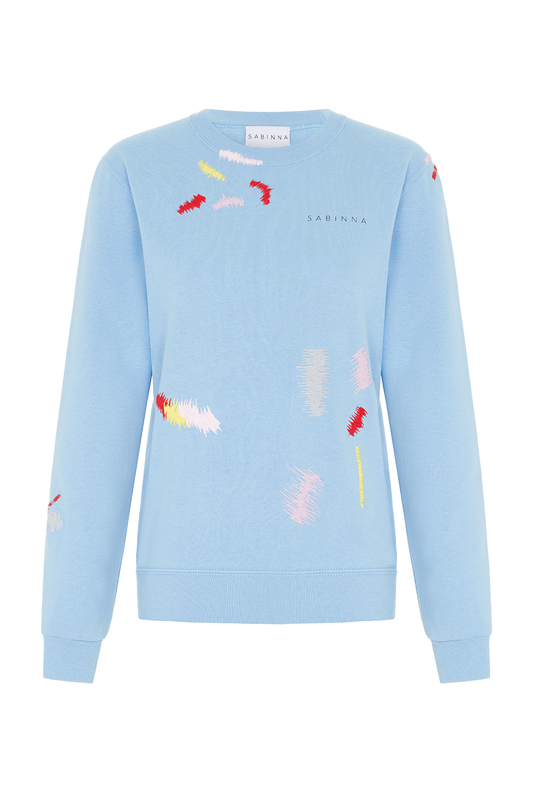 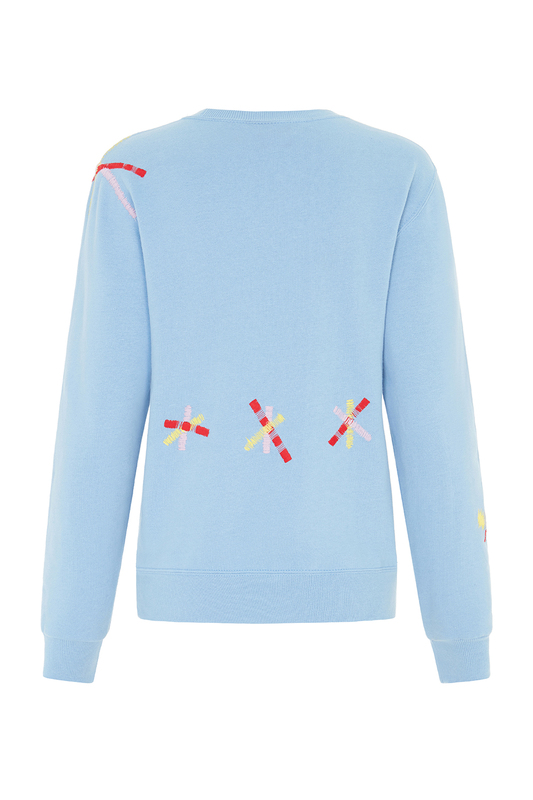 This is the blue Vienna Jumper featuring colourful embroideries spread over the front, the back part and the sleeves. It was made in the UK.